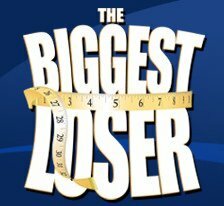 My school is having a Biggest Loser contest and the prize is $1000!! There are 50 of us in the contest. I really need to lose weight and get into shape before the trip to China and hopefully this will help. So here's my plan. I have started weight watchers (on my own) and am exercising twice a day (walking at school in the morning and alternating between yoga and the elliptical machine every night). We started on Thursday of last week. I really need to go grocery shopping so that I can stock up on some healthy food. I have circulatory disorders that makes my blood clot. I have had two blood clots in my leg and a pulmonary embolism(PE). The disorders are one of the reasons that we are adopting. I had a clot and and PE after Alex was born and David and I decided not to risk it a second time. Because of the clots I have circulatory problems in my leg and I'm hoping that losing weight will take some of the stress off of it. In addition, it will make it safer for me to make the long flight if I lose weight. Good luck, what wonderful incentives, health and money! I too have had a blood clot in my leg and PE in my lung. I am working on losing weight also.. I wish you the best of luck with your adoption!